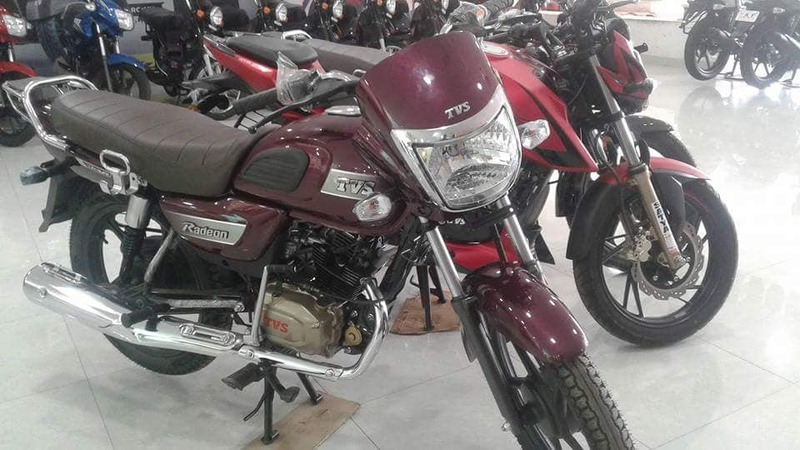 The TVS Radeon commuter has started to arrive at dealerships in India. TVS Satya Auto Sales uploaded the photographs of the Radeon on the showroom floor on its official Facebook page. The TVS Radeon, as reported by IAB, will arrive in the north India market first, followed by western and southern India. The motorcycle was launched in India in August 2018 at an ex-showroom price tag of INR 48,400. In September, IAB reported that the new Radeon will first arrive in the northern market due to the higher demand. The photographs of the commuter were snapped in Uttar Pradesh. The Radeon is aimed to bridge the gap between the TVS Star City Plus and the Victor, and is aimed at the 'millenial of Middle India'. TVS expect to achieve annual sales of around two lakh unit for the Radeon. To give you a quick recap the motorcycle, the Radeon is built around a new single-cradle tubular chassis that uses the engine as a stressed member. 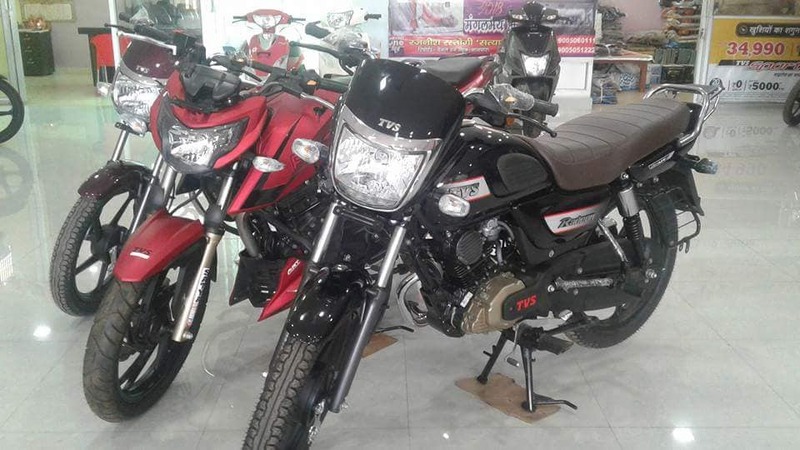 The features list is basic, the motorcycle comes equipped with conventional telescopic forks up front, twin coil-spring shock absorbers at the rear, and drum brakes on both wheels. The safety net includes synchronized braking technology (SBT). Other features on the TVS Radeon include electric start, thigh pads on the fuel tank, commuter style single piece saddle, rear parcel rack with luggage mounts, LED daytime running lights, twin-pod instrument console, USB charging port, side stand indicator, 18-inch alloy wheels shod with tubeless tyres, maintenance-free battery and chrome muffler. The motorcycle is available in four colours – White, Black, Purple, and Beige. It comes with a comprehensive warranty of five years. Mechanically, the new Radeon uses a 109.7cc, single-cylinder air-cooled, 'Dura-Life' engine that is tuned to deliver 8.2 bhp of maximum power at 7,000 rpm and 8.7 Nm of peak torque at 5,000 rpm. The engine is mated to a 5-speed transmission. A large air filter is aimed to offer better combustion and is claimed to produce higher low-end torque. The claimed fuel economy stands at 69.3 km/l. With a 10-litre fuel tank, the motorcycle should deliver a range of 700 km between fuel stops. The motorcycle can be purchased in four colours – White, Black, Purple, and Beige. It has been priced at INR 48,400 (ex-showroom). The motorcycle, as aforementioned, will first arrive in the north Indian market followed by the western and southern markets.